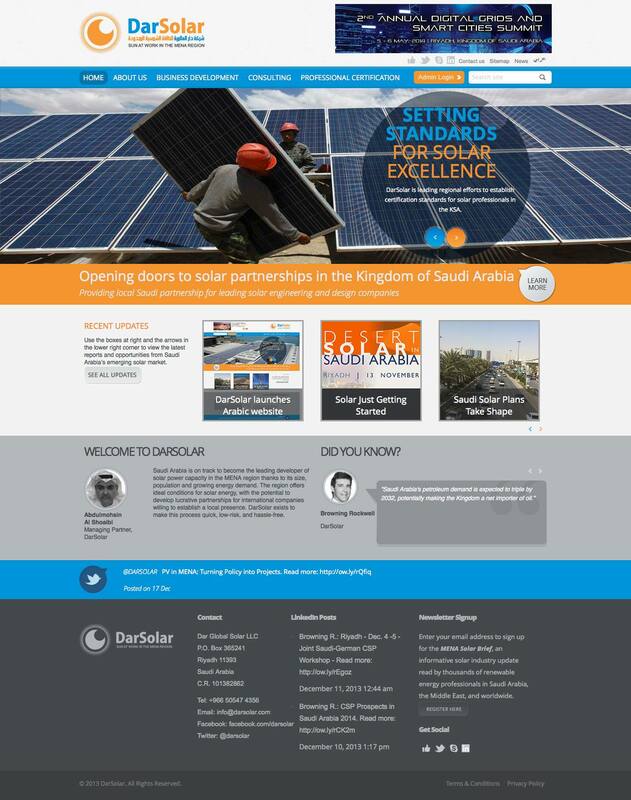 Based in Saudi Arabia, DarSolar reaches out to an international corporate audience to help solar energy companies become established in Saudi Arabia and the MENA region. Tom developed copy for the site as part of a global virtual team with members in the United States, London, Riyadh, and Dubai. You can view the current site in English or Arabic. Posted in Sampler and tagged Green, Web Copy.